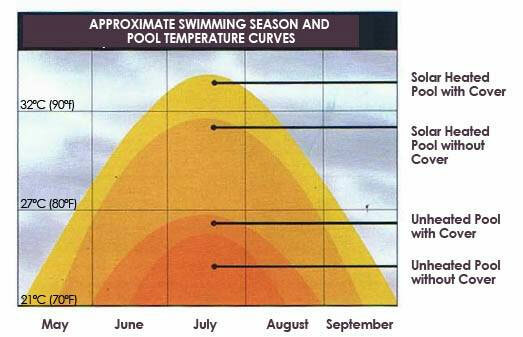 Extend your swimming pool season by several months with a solar pool heater. Compared to gas, oil or electric heat pump, a solar pool heater will pay for itself in energy savings. Our GEAR Solar thermal collectors are suitable pool in almost every location on the continental USA. 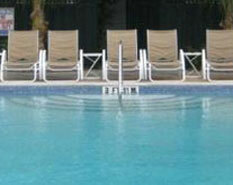 Additionally, your pools existing pump, filter, and check valve are also part of the system. The diverter valve is used to direct the flow of water through the system. If the water needs to be heated, the diverter is opened and it will send the water to the collectors. Otherwise, it will close in order to bypass the pool collectors and circulate the water back to the pool. A differential controller determines whether the diverter valve should be opened or closed. The controller measures the temperature of the water in the pool and the water in the solar collectors. If the temperature in the collectors is at least 4 degrees F higher than the pool water and the pool is below the desired temperature set by the homeowner, the controller opens the diverter valve.